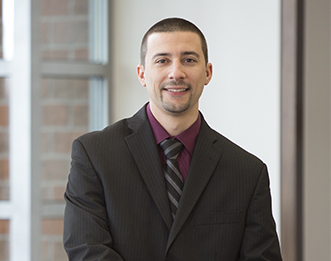 Rodman CPAs, a full-service tax and accounting firm based in Waltham, MA serving small and mid-sized businesses throughout the greater Boston area, has promoted Marc Scribi, CPA, MBA to Audit Supervisor. He is a resident of Walpole, MA. In his new role at Rodman CPAs, Scribi works with clients in a variety of industries preparing audits, reviews, and compilations. He specializes in audits of nonpublic companies and nonprofit organizations. In addition to his audit-related engagements, Scribi prepares corporate, partnership and individual tax returns. Prior to his promotion, Scribi held the position of Senior Associate for two years. Scribi holds a Bachelor of Science in Business Administration with a concentration in Accounting from University of New Hampshire’s Whittemore School of Business and Economics, along with a Master of Business Administration in Accounting from Suffolk University. He is a Certified Public Accountant. Scribi is a member of the Massachusetts Society of Certified Public Accountants (MSCPA). Rodman CPAs provides tax advisory, accounting, and business strategy to small and mid-sized emerging and established businesses. Named one of the largest accounting firms in Massachusetts by the Boston Business Journal, Rodman CPAs offers an innovative and strategic approach with the personal touch of a smaller regional CPA firm. For more than 50 years, Rodman CPAs has been specializing in customized accounting and tax solutions that improve business performance, processes, financial operations, and information technology. The firm serves as a true business partner, helping clients perform and succeed during each stage of the business lifecycle. As domain experts in alternative energy, the “Green Team” at Rodman CPAs works with renewable energy producers and businesses throughout the U.S. offering tax advisory, financial, accounting services, and Investment Tax Credit (ITC) studies. Rodman CPAs is an independent member firm of BDO Alliance USA, which enables them to expand services to clients by accessing the resources of BDO USA, LLP and other Alliance members, ensuring greater flexibility, efficiency, and cost-effectiveness. For more information, visit http://www.rodmancpa.com or contact (617) 965-5959.